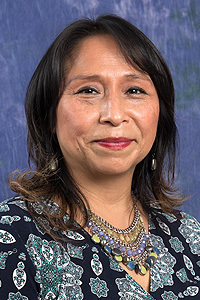 Our lovely nimble Office Manager, Patricia Morales, began with the firm in 1996. She is in charge of the day to day logistics of maintaining our organized office. Patricia has developed our document management system. She has coordinated an efficient system of inventorying and storing client documents. When clients ask for prior years’ tax returns, financial statements or documents, she can usually retrieve a pdf and email it within minutes! Patricia greets all clients graciously in our new Edison, NJ office, with a smile in English y tambien con una sonrisa en Espaňol!